I always include a notebooking journal when we do unit studies. Notebooking is a fabulous way to document your child’s learning. It requires them to write their about their studies, thoughts, and experiences. 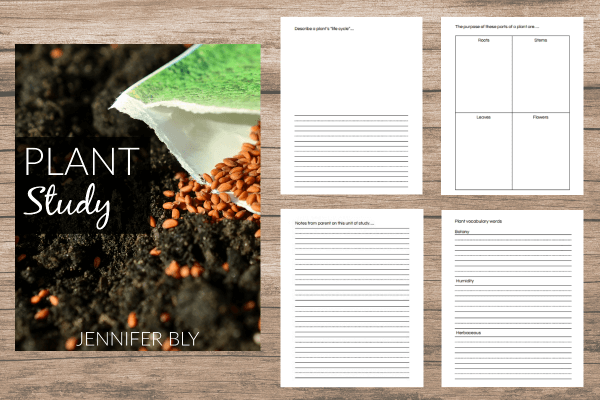 For the purpose of this unit study, I made a plant study notebooking journal with prompts which focus around the grade four curriculum standards here in Alberta. I included various questions, places for diagrams, and a collection of vocabulary words which my daughter had to research. Predictions were made and the plants were observed. The other activity my girls enjoyed was looking at plant specimens with magnifying glasses and under the microscope. With one plant specimen, they were able to observe tiny aphids crawling on a leaf! We enjoyed rowing the book, The Tree Lady, which is a beautiful picture book about the life of American botanist, horticulturalist, and landscape architect, Katherine Olivia Sessions (also known as the “Mother of Balboa Park” in San Diego). We did many of the suggested activities and both of my girls loved the stunning pictures in this book. There’s a fabulous, short YouTube video on Katherine Olivia Sessions HERE. We also discovered some fabulous YouTube videos throughout this unit. I organized our favourites into a YouTube playlist. Our field trips for this unit included excursions to a local botanical garden, greenhouses, my parent’s lake lot, as well as walks through the river valley and local parks. We were also very fortunate to be able to attend a presentation at the library about plants! I loved this online activity, The Great Plant Escape. My daughter had to answer the questions correctly to “solve” the mystery. This site also had some wonderful additional activity ideas (like instructions on how to grow lettuce indoors). 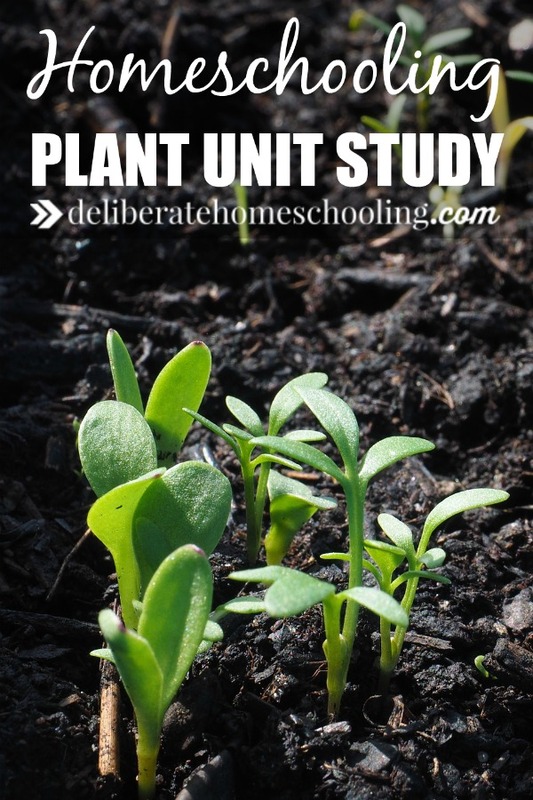 Have you done a unit study on plants? What kind of activities did you do? I invite you to tell us all about it and then share this post with your homeschool communities.